Henna is traditionally a symbol of passion and love, a harbinger of wealth and prosperity. Now brought to you by VLCC in a secret, traditional recipe. This henna gives your hair shine & luster, darkens hair colour and promotes hair growth. Explore the entire range of Hair Color available on Nykaa. 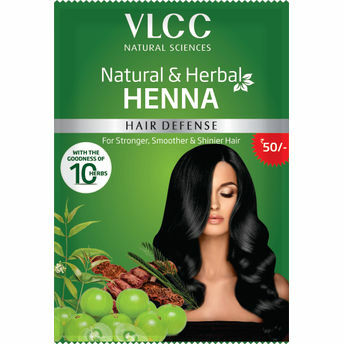 Shop more VLCC products here.You can browse through the complete world of VLCC Hair Color .